What the biggest tech acquisition reveals: It’s a jungle out there! Dell is buying EMC for $67 billion – the biggest tech acquisition ever! After the announcement I started wondering what the reason was and tried to take a look at the bigger technology picture. It’s a jungle out there. The most innovative companies with visionary leaders are literally killing the others. It’s so obvious. Dell and EMC are both struggling as they couldn’t adapt on time for the cloud revolution. Their revenues are stale and a huge part of their products are no longer relevant to the market. Their customers stopped buying storage or servers from them and went to the cloud services providers. Not surprisingly Dell wants to become such a provider. This is the reason they payed $67B. EMC was the storage provider of choice a decade ago and will help Dell enter the cloud market faster. 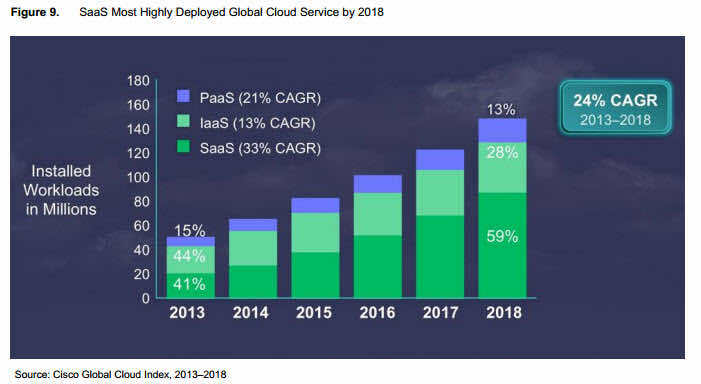 Considering the cloud computing market estimate, Dell aren’t crazy to join the ride as the year over year growth is projected at around 20% and to reach $106 billion in 2016. However, it will be a tough battle as the market looks like an oligopoly and already has its leaders. 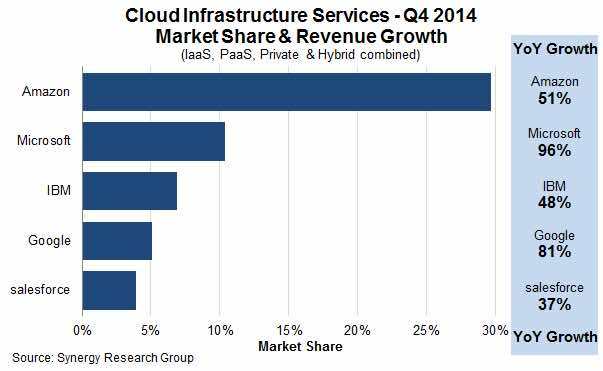 AWS, Microsoft Azure, Google cloud and IBM occupy more than 50% of the market share making them really hard to beat. Moreover, these four grow in a rate higher than the market meaning that they are eating the share of the rest. 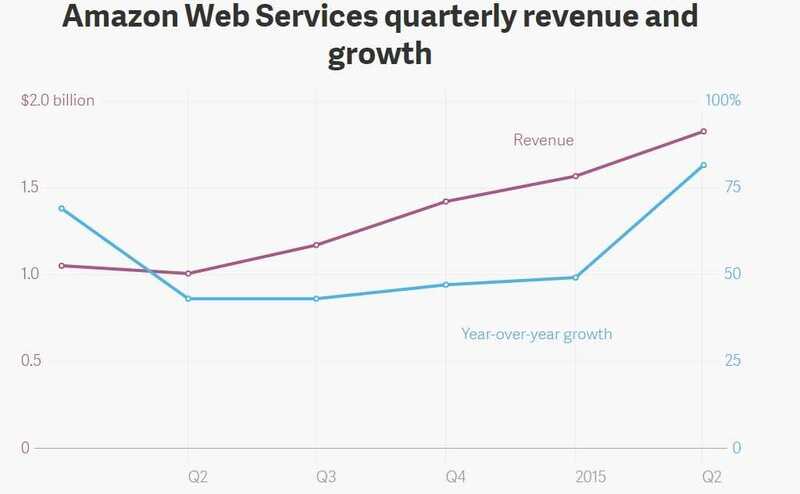 Amazon is the undisputed king with more than 70% of year over year growth and $6 billion in revenue. Jeff Bezos envisioned this market situation 10 years ago and now enjoys its leading position. Why is this market growing so fast? There are three reasons for that – affordability, convenience and scalability. It’s a lot cheaper for the companies to pay a cloud provider as AWS based on the storage they use than to buy servers on its own and pay all the additional costs to support them. Furthermore, it’s way more convenient as one must not care about anything. All the support related to the cloud is handled by the provider. 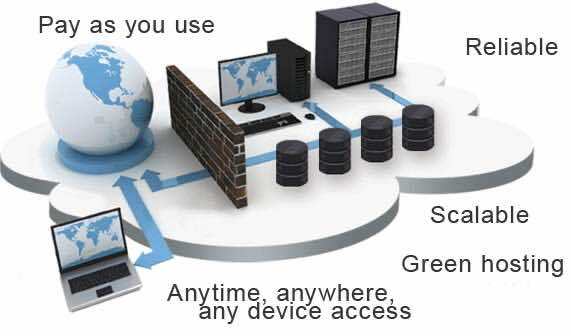 You don’t have to store hardware such as servers. Last but not least, whenever you need more storage you can just buy it online and in minutes you will have it. Before, you had to make projections months ahead on how many servers you should buy and to build the data center in such a way that it will be big enough for the years ahead. Although, considering all the above as benefits, there are several disadvantages. Moreover, due to the almost oligopoly situation most of the companies doesn’t have a choice but to totally depend on a single vendor for their storage. One famous case of a company that doesn’t use any of the big players is Uber. Mr. Kalanick chose not to use Microsoft Azure but many smaller providers as he didn’t want to be “locked” and dependent on a single provider. In conclusion, the cloud is the hype and not without a reason, however, companies like Amazon, Google and Microsoft must continue to innovate to avoid the destiny of giants such as Dell and EMC. Hope this article was a pleasure to read and will be great if you share your opinion on this acquisition? Blogger at JAXenter, business development director at Dreamix, co-founder at Grajdanite.bg and active sportsperson by passion. Do you want more great blogs like this? Subscribe for Dreamix Blog now! Want the know-how of experienced developers?